Ampullary cupula. Computer artwork of the ampullary cupula in the human vestibular system of the inner ear. The vestibular system contributes to balance and provides the sense of spatial orientation through sensing head movements and rotation. 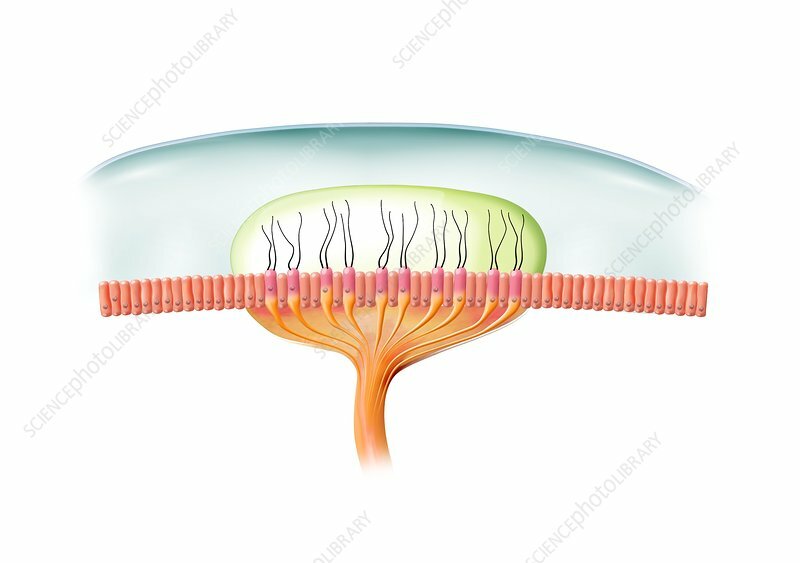 The cupula contains sensory hair cells (lines) embedded within it's lining, and is filled with a fluid known as endolymph. When the head moves the hairs are bent by the movement of the fluid and send corresponding signals through nerve cells (bottom) to the brain. The signals are used to determine the head's position and direction of movement or rotation.